To enter the contest, please fill out this ENTRY FORM and return it with your original piece of artwork to my office in Conroe. Artwork can be submitted during the hours of 9:00 AM to 5:00 PM, Monday through Friday, from February 26, 2019 through Friday, April 26, 2019. No late entries will be accepted. 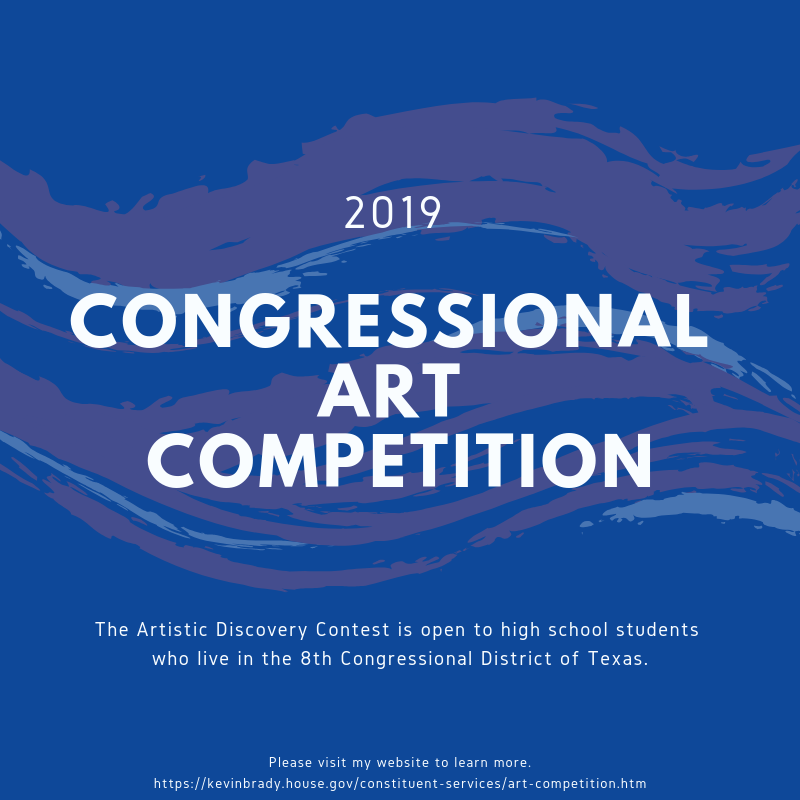 If you would like more information on the annual Congressional District Art Competition, please visit https://www.house.gov/educators-and-students/congressional-art-competition or call my District Office at (936) 441-5700.